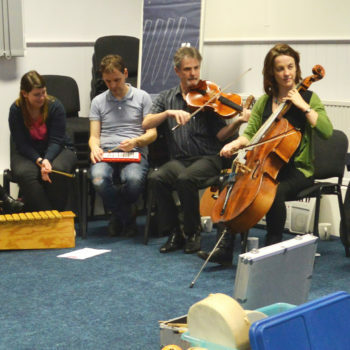 Our popular courses are packed with practical music-making ideas for people working with children who have complex needs. We have a proven track record in designing hands-on, stimulating and enjoyable training for those working with children who have serious illness, learning difficulties, or disabilities. 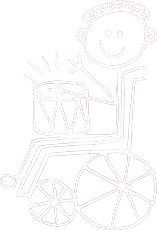 We share inclusive musical activities for children who have wide-ranging abilities/disabilities rather than focusing on any specific diagnoses. The course is suitable for people with no formal musical training and also for those who have some experience: whatever level you’re at, you will go away with plenty of ideas to put into practice in your work, and also with a CPD certificate. If you are a very experienced musician you may want to have a chat with us before booking a place, just to check that the course will provide you with what you are looking for. In order to make the course as accessible as possible, we heavily subsidise the cost. You get both days for just £80 (and that even includes refreshments and lunches!). Our next courses will be on 11th and 12th November 2019 in London, and 14th and 15th November 2019 in York. For more information and a booking form click here. 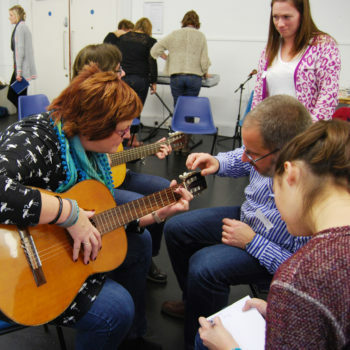 Click here to see participants on our course making a piece of music. We encourage instrumental tutors to increase their musical skills so that they can work with children who have special needs, broadening their expertise beyond their own specialisms. 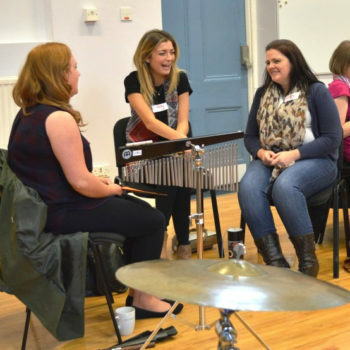 We can work with music education hubs or other organisations to deliver one-day training courses tailored to your needs.